Opposite Arcadia Apartments, look for the field along Jalan USJ 12/2F for a turquoise cabin. 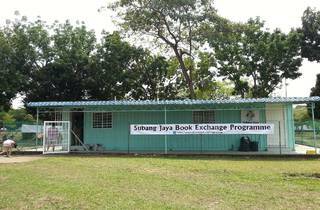 The highly lauded initative by USJ residents hosts book exchanges on every first and third Sunday of the month, from 3pm to 5pm. Just bring some books to contribute, and after the volunteers inspect the books to ensure they're in good condition (no heavily defaced, dusty, or silverfish-infested books on the premises), you'll be informed of how many books and what genre you're allowed to pick from. The choices are pretty quirky; ranging from fiction, travel, children, as well as National Geographic magazines. You might find that out-of-print book you've been hunting for, and get rid of books you don't need in one brilliant swoop. There's a playground by the cabin for little kids to let off steam. 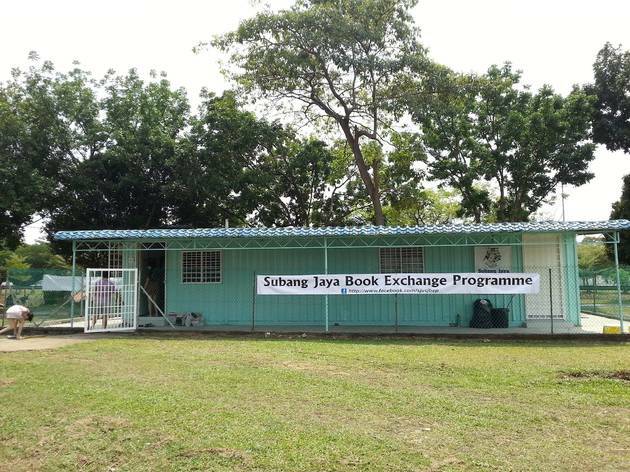 The Subang Jaya Book Exchange also hosts board game days and story-telling sessions. Keep an eye on their Facebook page for announcements.